There is a chance that 11-time French Open champion Rafael Nadal could retire from tennis within the next three years, according to his former coach and uncle. Toni Nadal spoke about the former world No.1 during an interview with El Pais about the health of the Spaniard. Nadal has been blighted by numerous physical problems in recent months. During 2018 he was hampered by issues with both his knee and abdomen. The 32-year-old also underwent a small operation on his ankle in November. 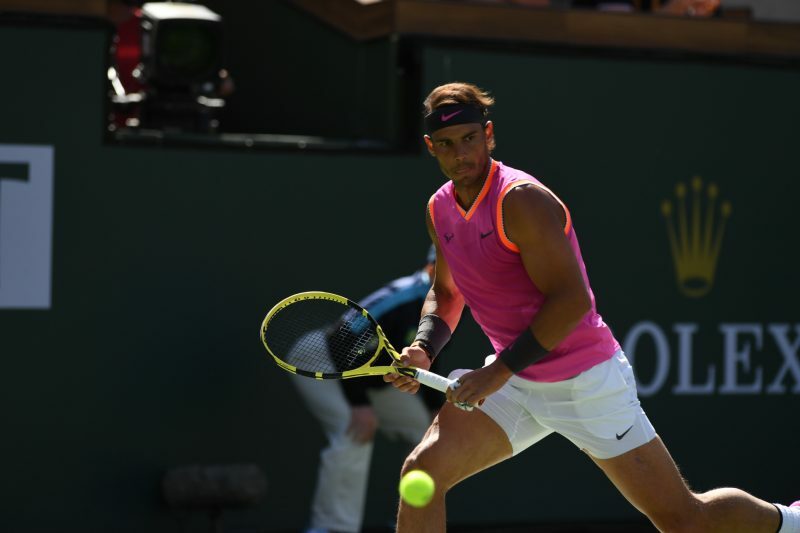 Nadal’s latest issue is his right knee, which forced him to withdraw from his semi-final clash with Roger Federer at Indian Wells. A problem that also forced him to skip the Miami Masters for a second year in a row. Commenting on his nephew’s work with Carlos Moya, Toni has insisted that Nadal wants to continue playing ‘despite his physical problems.’ Although, that may not be for too many more seasons. “I see it well. The most important thing is that they (Nadal and Moya) appreciate and respect each other, something very necessary.” Toni told El Pais. “And Rafael wants to continue playing, despite his physical problems. Nadal is currently the 14th oldest player in the top 100 on the ATP Tour. He is five years younger than rival Federer and eight years younger than World No.77 Ivo Karlovic. The world No.2 hasn’t given any indication about quitting the sport in the near future. However, the Spaniard had previously stated that he has no fears about retiring from the sport in the future. “I’m not scared of my ending,” he told ABC.es in February. “I’m aware that it will be an important change in my life, but if I’m honest, I’m very happy outside of tennis, with tennis too, but I have fun doing other things. “We are closer to goodbye, no doubt, but it does not scare me, I’m still very motivated. “I like what I do and I work with the maximum enthusiasm to give me options to compete for everything. Nadal is currently back in Spain training ahead of the start of the clay swing. A critical part of the season for him, where he will be aiming to defend four out of the five titles he won last year. Including two Masters 1000 tournaments and the French Open. He will begin his campaign at the Monte Carlo Masters, which will get underway on April 15th.